Big manufacturers, distributors in the US look to slash emissions profiles. Reuters reported on Tuesday that PepsiCo had recently placed 100 reservations for Tesla Semis. The order is the largest public one to date and may have cost the food and beverage manufacturer as much as $2,000,000. (The Wall Street Journal reported in November that Tesla had bumped the price of reservations from $5,000 each to $20,000 each.) However, PepsiCo did not comment on how much it actually paid Tesla or whether its reservations were to buy the trucks outright or lease them. PepsiCo told Reuters that it plans to use the trucks to distribute sodas and snack foods to retailers within a 500-mile radius of its manufacturing centers. The company said it is analyzing routes to find the optimal use case—either sending lighter snack loads longer distances or shipping heavy beverages shorter distances. PepsiCo follows other major manufacturers and distributors who have placed smaller reservations for Tesla Semis. Walmart, JB Hunt Transportation Services, and Ryder System Inc. were among the first to place reservations for Tesla’s electric truck. 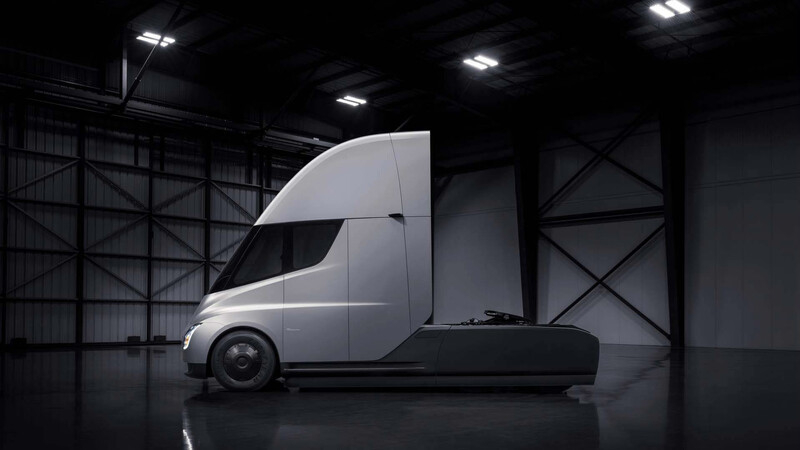 Since then, Tesla announced its expected prices for its semis—$150,000 for 300 miles’ range and $180,000 for 500 miles’ range. Those prices were more competitive than analysts originally expected, and since that announcement, more distribution companies like Sysco Corp. have announced their reservation placements. An unofficial Reuters tally of public announcements suggests that 267 reservations have been placed for Tesla Semis, including PepsiCo’s 100 reservations.